Political machinations meet religious tensions in 19th-century Persia. Abdolah (My Father's Notebook, 2006, etc.) writes in a style reminiscent of both newspaper reporting and fairy tale, even beginning with a “Once upon a time”—though the novel is set in a densely populated historical period rather than in the ether of timelessness. Shah Naser is the eponymous king, and he has all the complications one would expect for someone in his position: a powerful and cantankerous mother; a harem full of intriguing (in all senses) women; political advisers he doesn't trust; and a volatile political situation, with Russia and England vying for spheres of influence. He also has a cat, Sharmin, who serves as a confidant, to whom he reads classic poetry and discloses his deepest thoughts and anxieties—and there’s much to be anxious about. Because of Persian domestic arrangements, he has literally hundreds of half brothers, and he has several of them hanged simply because he doesn’t trust them. The shah also has a grand vizier, Mirza Kabir, who has grand plans to modernize the country, but the shah’s mother, Mahdolia, has very different ideas. A resistance group develops involving Jamal Khan, who works with ayatollahs hostile to the shah’s liberal (personal rather than political) indulgences. And in the background lurk political representatives from Russia and England, full of rancor for each other and occasionally for the shah as well, though they each want to curry favor with him to satisfy their own agendas. 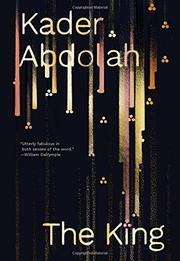 Abdolah is himself an Iranian political refugee who fled to Holland—his novel is translated from the Dutch—and he writes with great feeling and sensitivity about matters that still have resonance in the 21st century.